After watching Star Wars, we went to SM City to have our late lunch. It was a big disappointment for us because the 15 minutes waiting time ended up to 30 minutes, that I ended up buying Pizza Hut's Pizzanada just so those hunger pangs don't take us. The time our orders came, MAN! serving sizes were too small and my brother noticed it, it's not our first time to eat in the said place, it has been one of our go to place when we are craving for California Maki and other Japanese dishes. It was a flop, that "sayang na sayang" for the amount of money I paid for. 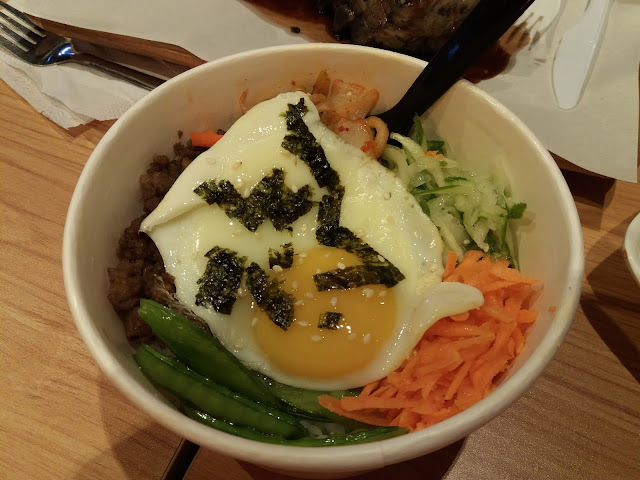 Before we ordered I asked if they honor card payment, the one who got our orders said yes, when we had our bill, he told he will swipe it at another restaurant located at the other side of the mall. I keep my cool but my sister really wanted to make a feedback, but no one was attending to us at that time, we were the only customer they have that time, the very reason why we chose to dine because service might be fast. Enough with that, all we want is FOOD! 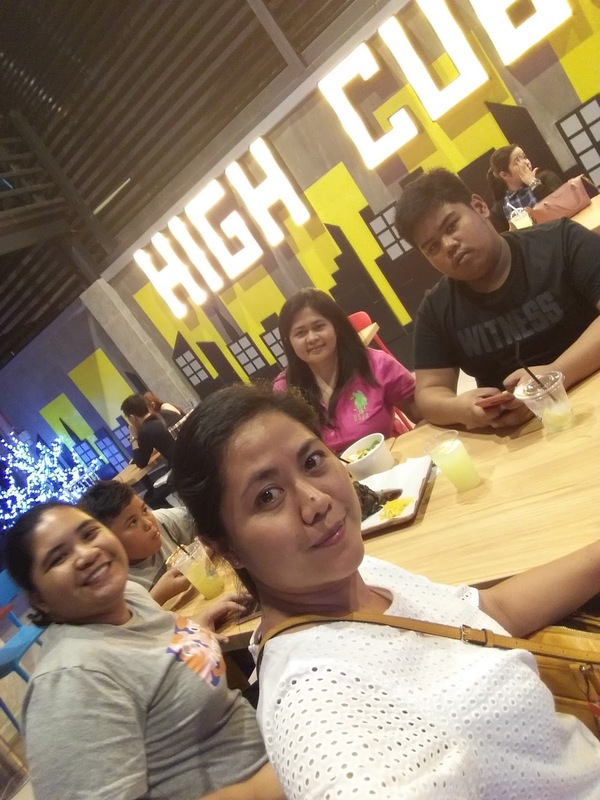 Before going home to Tupi, when I asked if they want to eat, not a single soul said no, so off we went to High Cube Food District. 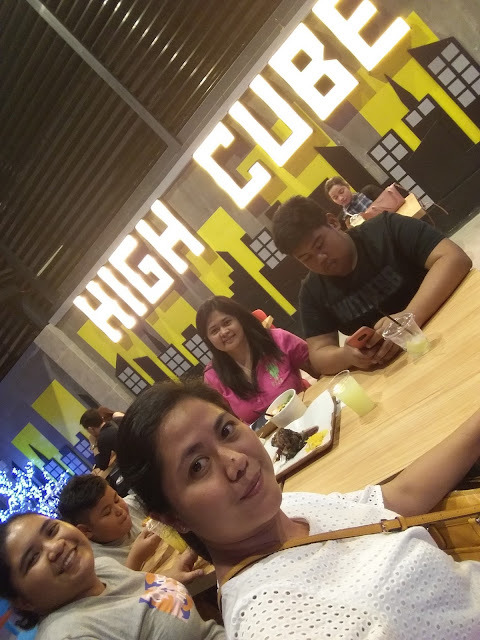 High Cube Food District opened last December 8, 2017, located along Osmena South Avenue. It is a multi level U-shaped food hub, with 26 food stall that can bring you around the world. Upon entry we were greeted by the different food stalls with their food offerings that can get you confused. But then we were so hungry that finding the food we want went so easy. We were quite surprised, that while we look around at the ground level area, someone called out to Maya, it was one of the owners of Caveman. From Caveman we had the Slab of Pork Ribs, which tasted really good, from the meat itself you will know that it's marinated fresh meat. At the 2nd level, we ordered drinks from Guapita, we had; Mojito (non-alcoholic) & Agua Fresca (cucumber lemonade) and Cheese Quesadilla. 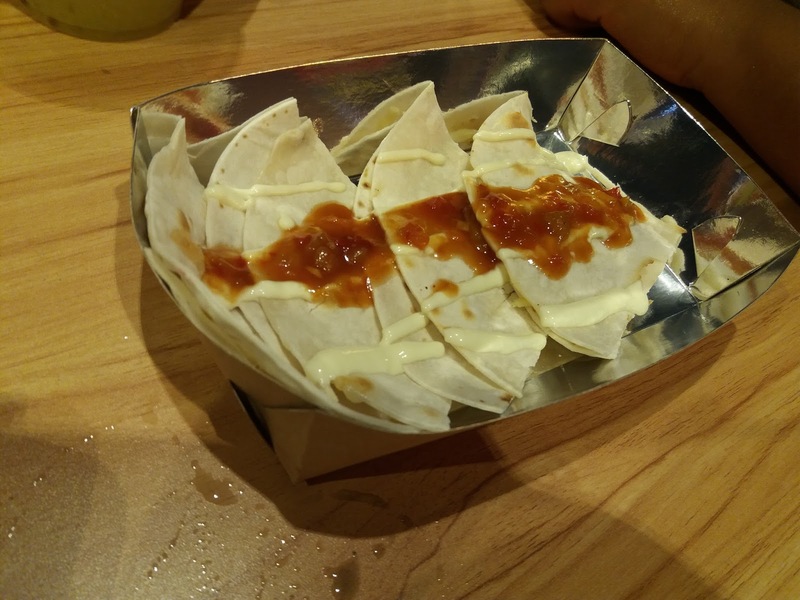 I find the drink too sweet, while I expect so much of the Quesadilla but from my brother's verdict, the sauce tasted like a sweet spaghetti sauce which according to him is not Mexican, case closed then. Sissy and Miya explored further around the 2nd level, they ordered Bibimbap from K-Bap and Kebab from Arabian Knights. It was a fun food adventure for us, we had our tummy fill but not full. 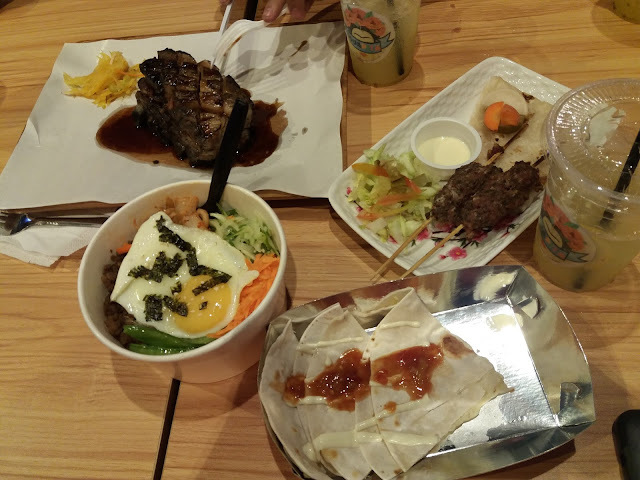 Maybe because I expected that it can be an around the world experience for us, but the Mexican, Korean and Arabian cuisine we tried were all Filipinized (if there such a word). I am not a food critic, except that I tasted a more authentic kind in my other food adventure. I was looking for a more authentic tasting dishes because by the look of each stall do say that they are. Hoping to try the other food stalls soon, what we have is not even half the stalls of High Cube Food District.